Last week, much of the internet was abuzz over an undercover video aiming to expose and embarrass Planned Parenthood, purporting to show a high-level director in the organization, Deborah Nucatola, discussing the sale of aborted fetal tissue. It got a lot of ink, and in that respect, it was a victory for anti-abortion group the Center For Medical Progress, despite the fact that the full, unedited video revealed some seriously deceptive editing. And now, it's running the same play again — another Planned Parenthood sting video that hit YouTube Tuesday, and it tries to achieve precisely the same point. It's also precisely as manipulative and potentially harmful to women's health. It fails in exactly the same way as the last video did, too, insofar as its main narrative is concerned. The last video released by the CMP, featuring candid and at times uncomfortable conversation about fetal tissue donation between undercover anti-abortion activists and Dr. Deborah Nucatola, wanted to give viewers the impression that Planned Parenthood representatives were negotiating prices in exchange for tissue donations. In reality, if you watch the full footage (nearly three hours' worth) that the CMP released after their eight-minute clip had gone viral, Nucatola appeared to be discussing customary reimbursements associated with space and transportation costs. And that's a major distinction, because the former is legal while the latter is a violation of federal law. This latest video basically hits all the same notes: showing a veteran of the reproductive rights industry discussing the ins and outs of fetal tissue donation, and throwing out compensatory figures that are strikingly similar to the ones detailed in the first video. Nucatola cited a $30 to $100 compensation range for tissue donation, which (in sequences the group edited out of their viral clip) she clarified could not be payment for any tissue itself, just for associated costs. Similarly, Tuesday's video features Dr. Mary Gatter, the President of Planned Parenthood's Medical Directors' Council, discussing appropriate levels of "compensation." Just like last time, the CMP released the full video Tuesday morning, which sheds a little more light on things. It's not as long as its last one — just over an hour, rather than pushing three — but it makes it clear that once again, the eight-minute rundown was snipped here and there to seem maximally incriminating. For example, the short video ends with a rather obvious joke, suggesting that she wanted to buy a Lamborghini. It may seem crude, to be sure, and that's been the hallmark of these two videos — as I wrote after the first one came out, I'd argue the true goal of the footage is to get attention with a radical, unproven claim, then try to disturb people with the conversational frankness shown by Planned Parenthood higher-ups. In Nucatola's case, her remarks about trying not to crush potential organ donations during the abortion process generated almost as much outrage and disgust as the thin allegations that she was selling the tissue. The Gatter video features another instance of a casually used, admittedly grim turn of phrase, when she says the tissue is more usable with a "less crunchy" form of abortion. This is the kind of language — a little grisly, I admit — which people who've worked in reproductive services for years might not think twice about. If you think about the way people from different walks of life can talk alarmingly casually about the realities of their professional lives, however, you might better understand it. Gatter, like Nucatola, was lured into believing she was speaking to people working in tissue procurement, the sort of professionals who likely wouldn't balk at such straightforward descriptions. 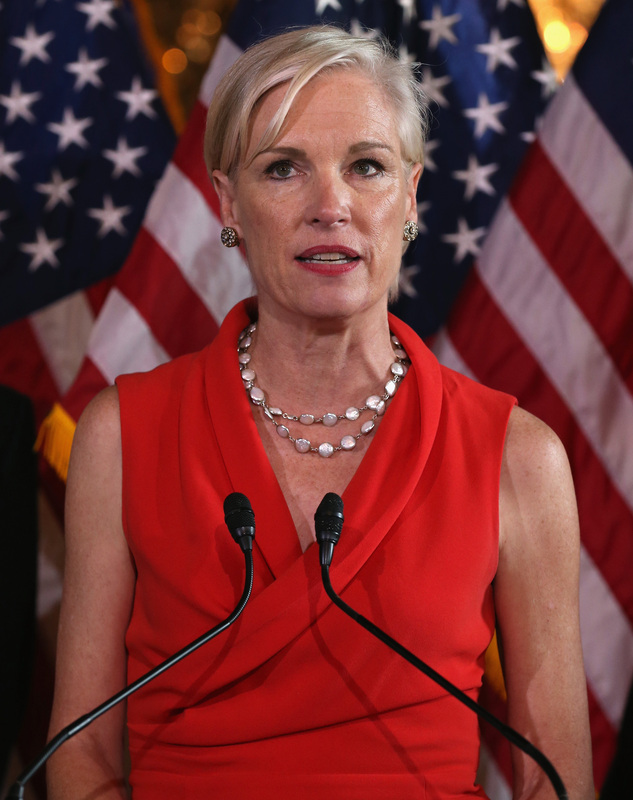 Moreover, Planned Parenthood's job is to be a straightforward provider of women's health services. The CMP probably knows that this'll come across as callous and grim to a wider audience, which is an important to its anti-abortion advocacy — Gatter makes it as clear as Nucatola did that she's talking about compensation for associated costs, not the specimens themselves, in spite of the questioners' aggressive efforts to steer her into saying something incriminating. For example, here's an exchange shown in their eight-minute clip. Gatter: I was going to say $50, because I've been places that did $50 too. You see, we're not in it for the money, and we don't want to be in the position of being accused of selling tissue and stuff like that. On the other hand, there are costs associated with the use of our space and all that kind of stuff. Planned Parenthood one of the most assailed and scrutinized organizations in the country — congressional Republicans have already tried to reinvigorate its defunding efforts on the back of the CMP's "sting" videos. But these videos present a flimsy case, at best, that any criminal wrongdoing has gone on, relying instead on shocking viewers with some overly candid, casual language that, overall, emphasize Planned Parenthood's mission: to provided candid, straightforward care for women's health needs.